We’ve blogged before on the failure of Congress to extend authorization for the National Flood Insurance Program for a period of time that is meaningful. Over the past year the program has been suspended by lack of action several times, each with only brief extensions. Legislation has finally passed authorizing National Flood for another 5 years. Taxpayers and policymakers can argue whether it’s good for the government to subsidize coastal property development by providing insurance that the private market won’t offer, but we feel strongly that if there is a program, it should be stable and predictable. State Farm dropped out of participating altogether a few months ago, since the start – stop nature of the government backing made participation difficult. This is truly a good step toward providing predictability in this market. For timely and economical solutions for your needs, look to Gordon Insurance for home insurance, and investment property insurance and business insurance all along the coast. 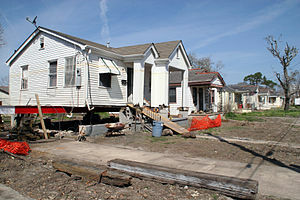 The National Flood Insurance Program, which provides flooding coverage across the nation, expired yesterday, June 1st. Coincidentally, June 1st also marks the first official day of hurricane season, a fact that alarmed both coastal citizens and the U.S. Government. “It is completely unacceptable for the Congress to allow flood insurance authorization to lapse during hurricane season,” said Sen. Roger Wicker, R-Miss. Because of this, an extension until September 30 was approved by congress, in order to ensure ongoing coverage though what will most likely become another destructive year for the massive maritime storms. Hopefully, because of this legislation, there will be a smaller number cowering in fear at the sound of the generic, nursing-home-esque hurricane names. And for relevant information and insurance and risk management solutions, visit our homepage.